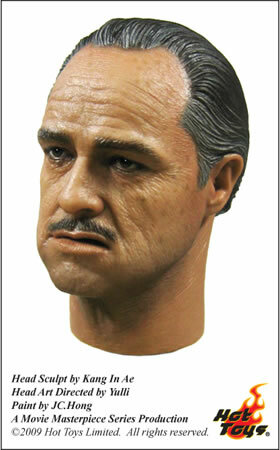 Hot Toys has unveiled a new headsculpt for their Movie Masterpiece series. The sculpt is of Marlon Brando. No word on how the sculpt will be used. 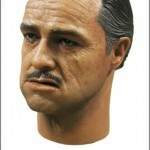 However, it bears a striking resemblance to Brando’s turn as Don Vito Corleone in the Godfather. The Brando-Master. Everyone needs one. Certainly a dead on likeness. I gather we'll be seeing the Godfather soon. As long as Mo Greene needs to sleep with the fishes, we'll be ok. This is a sweet develpment...Good find!!!!!!!!!! !